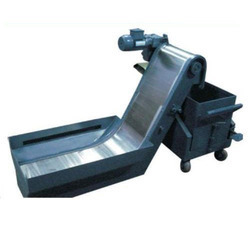 Our product range includes a wide range of chip conveyors steel belt. Chip Conveyors Steel Belt has a robust size stabilizers which automatically come in contact with the ground when the forks reach a correct height. These are available in various load carrying capacities, multiple fork lengths, and spans.